ECU, located in Perth, is an innovative university that prides itself on being relevant to the real world. ECU is a modern institution that offers the right balance of academic study and practical work as part of its program. At ECU, we are very proud to have been ranked in the world’s top 150 universities under 50 years old in the 2017 Young Universities Rankings (formerly known as the Times Higher Education 150 under 50). We are equally proud that in The Good Universities Guide, our students have given us a five-star rating for teaching quality 11 years in a row. ECU prides itself on being relevant to the real world and our degrees have a large practical component. You’ll undertake practicum and work placements, as well as industry-based assignments, which can include opportunities to work in our state-of-the-art laboratories and teaching facilities. Contact Edith Cowan University NOW! At Edith Cowan College you’ll enjoy lots of benefits, like world class training and the opportunity for career advancement. Our changing world needs a university that’s changing with it. A university where courses composed with industry deliver the most relevant knowledge and skills. So be capable when it counts. 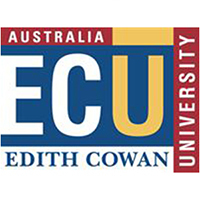 Get ready with Edith Cowan University (ECU).